Mizuma Art Gallery is pleased to present USAMI Masahiro’s solo exhibition “Manda-la in Cyprus”, opening on Wednesday 21st February. In his first solo exhibition at Mizuma Art Gallery in 2015, Usami Masahiro presented the premier exhibition in 20 years of production of his series “Manda-la” to great acclaim. Each work in this series features a central figure placed in the middle of the composition, as in Buddhist mandala images, and expresses the various elements that make up that person’s world-view. To capture each photograph Usami makes countless preparatory visits to the shooting location, and continuously researches and negotiates with local people regarding production. His style of crafting works has involved locations from Fukushima and Kesennuma, damaged in the Great East Japan Earthquake, to the former nuclear bomb site of Hiroshima. This body of work explores the nature of Japanese society, including its history and the contemporary challenges it faces. 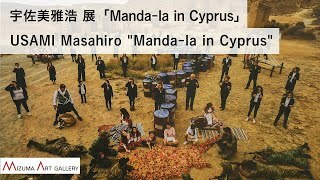 Last year Usami received the opportunity to take on a new challenge, “Manda-la in Cyprus”: a project culminating in a solo exhibition in Pafos, Cyprus, as an official event of “Pafos 2017”*. The island of Cyprus is both a popular Mediterranean beach resort and home to the city of Nicosia, “the world’s last divided capital”. Throughout its long history since the era BCE it has been dominated and exploited countless times by neighboring countries. 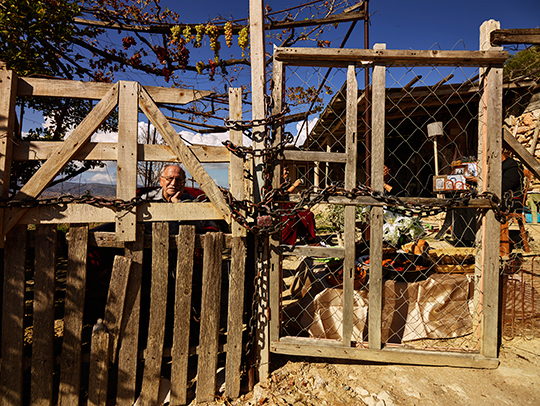 During the 1974 Cyprus military conflicts, Greek Cypriots were forced to migrate to the south of the country and Turkish Cypriots to the north, resulting in a third of the population losing their homes. There is currently an official ceasefire in place, yet the southern and northern regions remain divided by a buffer zone known as the Green Line. The creation of these new works entailed a journey more arduous than first imagined: a process of sensitive investigation spanning fragmented dialogues in the dual Cypriot languages of Greek and Turkish, differences in ethnicity, and political conflicts. Usami remarks, “Greek Cypriots are mostly followers of the Greek Orthodox Church, and Turkish Cypriots are largely Muslim. Given its contemporary situation in which the peoples of each region are divided, the nation’s search for a solution as to how to shape its future is also inextricably linked to the state of the world as a whole, in which there remain persistent ongoing conflicts between some Western and Islamic nations. 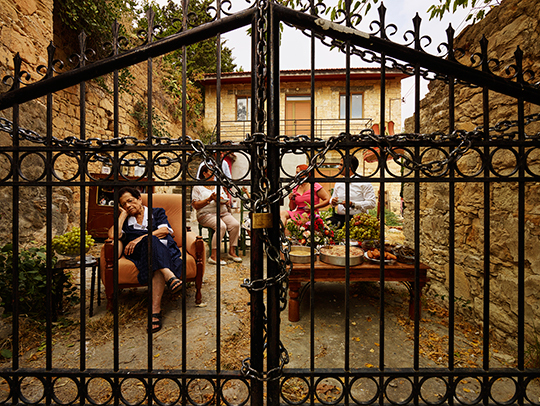 I wanted to create a work that encouraged people throughout the world to empathize even a little with the small island of Cyprus, and gave them the impetus to think more about it.” After altering the projections of his plans countless times, Usami’s new works were finally realized thanks to the cooperation of people from both regions. Even today, as everybody hopes for peace throughout the world, wars and poverty still continue and there are still those who struggle in opposition against prohibitions from crossing certain borders. Usami’s works draw out such contradictions in the state of the world and set them in relief before our eyes, so that we can look towards to his future developments with only even greater expectations. * Every year one EU member state city is designated “European City of Culture”, and hosts a special programme of art- and culture-related events throughout the year. In 2017 the city of Pafos in Cyprus was chosen. On Saturday 24th February from 16:00 Usami Masahiro will hold a live discussion event at the gallery with independent curator KIKUTA Mikiko. They will address topics including the creation of the works in Cyprus.